We present high-resolution angle-resolved photoemission spectroscopy studies of trivalent CeB6 and divalent BaB6 rare-earth hexaborides. 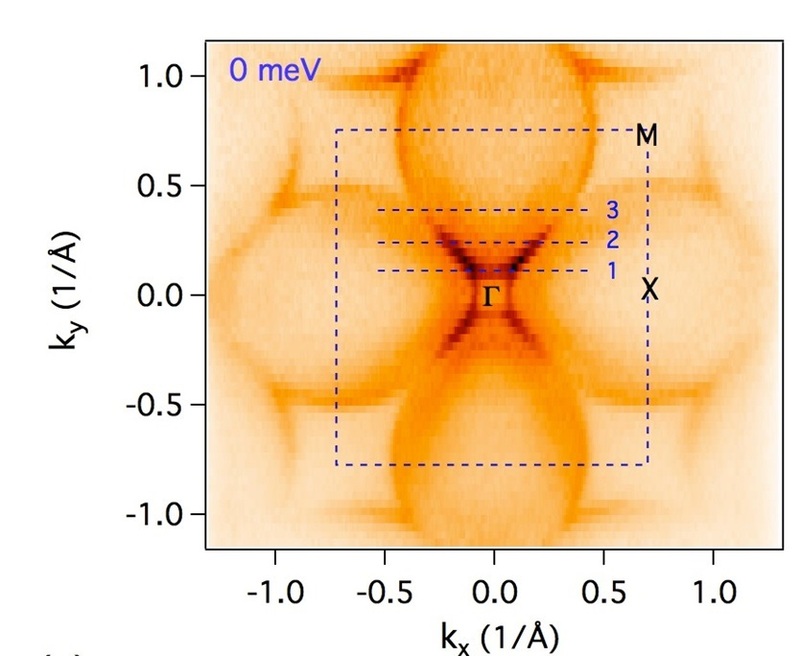 We find that the Fermi surface electronic structure of CeB6 consists of large oval-shape pockets around the X points of the Brillouin zone, while the states around the zone centre G point are strongly renormalized. Our first-principles calculations agree with data around the X points, but not at the G points, indicating areas of strong renormalization located around G. The Ce quasi-particle states participate in formation of hotspots at the Fermi surface, while the incoherent f-states hybridize and lead to the emergence of dispersive features absent in non-f counterpart BaB6. These experimental and theoretical results provide a new understanding of rare-earth hexaboride materials. Fermi surface topology and hotspots distribution in Kondo lattice system CeB6. Published in Madhab Neupane, N. Alidoust, G. Bian, et al., arXiv:1411:0302 (2014). Non-Kondo-like Electronic Structure in the Correlated Rare-Earth Hexaboride YbB6. Published in Madhab Neupane, S.-Y. Xu, N. Alidoust, et al., Phys. Rev. Lett. 114, 016403 (2014).